Pactainers® offer customised packaging, transport and storage containers for all types of bulk materials and all routes for volumes of 200 to 3,000 litres. These flexible intermediate bulk containers (FIBC) make EMPAC a trendsetter with continuous innovations. 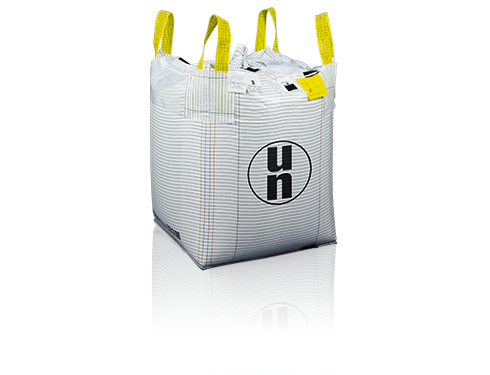 Depending on its subsequent area of application, the Pactainer® is produced from flat or tubular fabric, with a PP coating or PE inner foil, as a disposable or reusable container, or with approval to be used for the transportation of hazardous goods. They are produced with a range of cover and base types, filler connections and outlet mechanisms. The range of products includes one-point Pactainers® (one loop), double Pactainers® and four-point Pactainers® (four loops). Numerous special variants and automated big bags are available for special areas of application. Agriculture, construction, chemicals and pharmaceutical, garden products, drinks and drink powders, wood and plastic products, cosmetics and personal care products, foods, disposal of waste materials, miscellaneous pet supplies, washing and cleaning products, processing and finishing.